Last month the US military announced that they had dropped four unarmed bombs into Australia’s Great Barrier Reef Marine Park last week during a training exercise that went wrong. Two aircraft dropped two bombs each, one an inert practice bomb but the other an unarmed lazer guided explosive bomb into the World Heritage marine park. The bombs fell into an area away from the coral and the military report that they did not explode. The action obviously caused outrage within the environmentalist and marine protection community, and it led me into looking into the state of our reefs today. 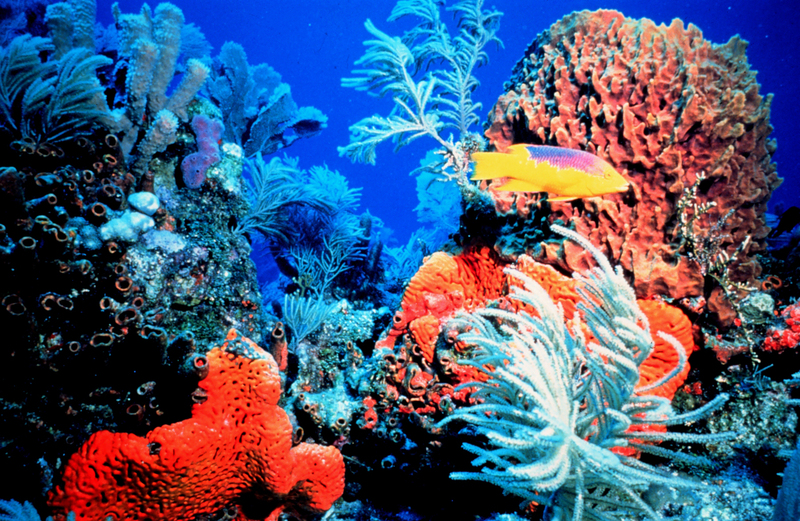 According to Global Coral Reef Monitoring Network we have lost 20% of the planet’s coral reef in the last 20 years. They also sate that a further 35% is in serious danger. We are talking about an area in total of 284,800 square kilometres of the seabed that is currently inhabited by coral. Anyone who has ever been to the Great Barrier Reef will have seen the effects that mass tourism had on the reef in the past, before it became better regulated. Large parts of the reef lie dead. Overfishing is also one of the major causes for concern, as is climate change, the change in sea levels and the ever growing problem of rubbish (particularly plastics) that float around the reefs. Recently however scientists at the University of Marche in Italy have discovered that some of the substances used in suncream could damage both the reefs and other maritime life. This presents another serious problem, as millions of us splash it on before going into the sea, washing zinc, various nanoparticles and petroleum derivatives into the water and over the reefs. We could call it involuntary pollution, and we can debate the risk factor (risk to my skin versus risk to ocean life), but you will be pleased to hear that some cosmetic companies have started to produce a more ecologically sound form of suncream. The UK based company Aethic for example produce an Eco-compatible suncream called Sôvée, and they are working with King’s College London to develop a suncream that mimics the capacity that coral naturally has to protect itself from the sun’s rays. Any development could have multiple uses, and at least help to remove one of the dangers that are threatening these structures. These ecosystems are so fragile it is unbelievable. They have taken thousands and thousands of years to develop and we can destroy them in minutes. I hope the US military retrieved the bombs. FYI, I added the video from the link to Aethic to the article. They did not retreive the bombs as far as I know. Thanks for the video too. Are they just going to wait for them to explode then, because one day, whether it be 5 minutes or 5 decades down the line they will. 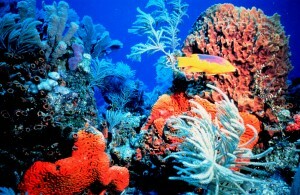 It is necessary to protect sea life too. Thank you for sharing a good article. It may be a small step but I certainly agree with you. And thanks for your comment Ashiq.